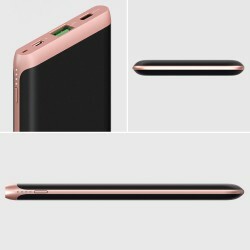 Ultra Slim 10000mAh External Battery With Latest USB Power Delivery Technology, Pocket Friendly Power Bank, Perfectly designed for Smartphones, including iPhone Xs, iPhone Xs Max & iPhone XR, Google Pixel 3/Pixel 3 XL and other mobile devices, i.e. Tablets, Cameras, GoPros, Portable Fans, Portable Speakers, etc. 18W charging via USB-C with Power Delivery 3.0 makes it one of the fastest charging power banks that is extremely light & portable. 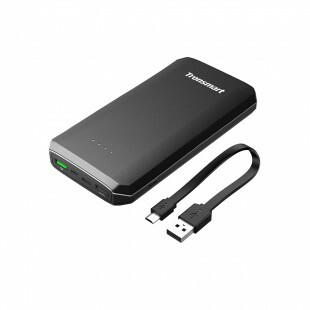 With its large capacity battery cell, you can charge your smartphone extremely fast multiple times. It’s as thin as your smartphone. 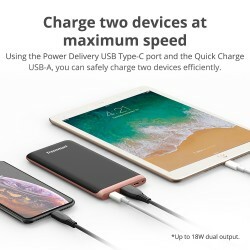 Using the Power Delivery USB Type-C port and the Quick Charge USB-A, you can safely charge two devices efficiently. *Up to 18W dual output. Fast charge your iPhone Xs Max, iPhone Xs & iPhone XR. From 0 to 50% only in 30 mins. 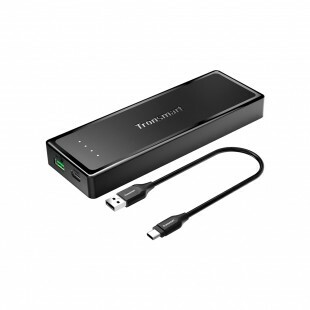 Unlike traditional power banks, Trim 10000 can be recharged faster to hit the road with you. *Simultaneous dual input not supported. 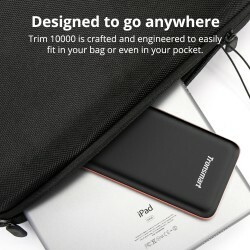 Trim 10000 is crafted and engineered to easily fit in your bag or even in your pocket. 1.When will this be available? It will be available in this week. 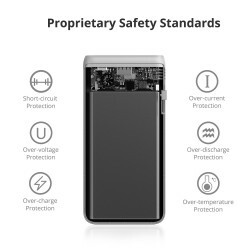 2.Is the Trim battery compatible with my device? 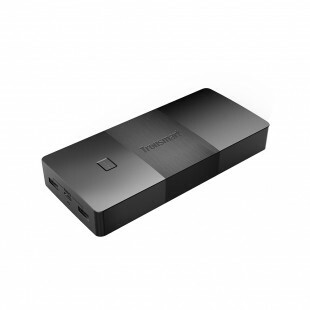 The Trim battery features a USB-C port which is compatible with USB-C equipped devices. Please make sure your device support USB Power Delivery (PD) technology in case you want to get the high-speed charging. The USB-A output port is compatible with virtually any other device. 3.Can I charge two devices at once? Yes, you can. But remember the total output is 18W. 4.How to recharge the Trim battery? Trim 10000mah battery support dual input. 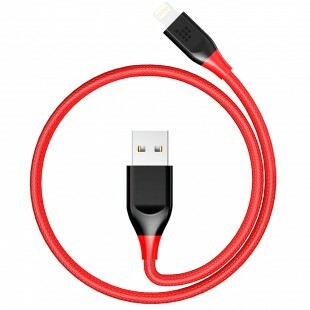 You can use the supplied micro USB cable to connect the Trim battery’s micro USB input to the wall charger, or you can use the USB-C to USB-C cable to connect the Trim battery’s USB-C input to the USB-C wall charger/car charger. The Trim battery can recharge at up to 18W. 5.Can I charge my device while recharging the Trim battery (pass-through charging)? Yes. It can support pass-through charging. 6.Once I connect the Trim battery to my device, how do I start charging? Press on the Power ON button on the side, and then charging begins automatically once you connect the Trim battery to your device. 7.Does this battery charge a Nintendo Switch while playing? Yes, however, we suggest minimal use while charging. 8.How to get fast charging for iPhone 8/iPhone 8 plus/iPhone X/iPad Pro? You need to get the original Apple USB-C to lightning cable and plug into the USB-C port in Trim battery. 9.Does this come with the lightning cable? No, it does not. It comes with micro USB cable. 10.Does it support Dell xps 13 or other laptops with USB-C port? No, it won’t be able to charge the laptops, the 18W PD output is best for smartphones and tablets, not for the laptops, You can check our Brio 20100mah battery. 11.Does it support the new MacBook Pro 2017/2018 with 61w and 87w output? No, the USB-C port can only offer 18W, It’s not enough for MacBook usage. 12.Will this item power the Nintendo Switch Dock? No. It can charge the Nintendo Switch, but can't work with the Switch Dock. 13.Will the Tronsmart Trim charge my Plantronics BackBeat FIT Bluetooth headphones? 14.Will the Trim rapid charge a Nexus 6P? Trim can fast charge your Nexus 6P phone. It can output up to 5V/3A to charge your phone. 15.Hi, does this charge Sony Xperia Z5 Compact? I like this charger. It's a powerful charger. It's remarkably compact and it's much smaller than other power banks of the kind. It's stylish, practical & safe. It's safe and more efficient across all product categories. I'm using Huawei, I'm glad it can charge Huawei mobile as well as iPhone. I am very happy to give 5 stars. I have used it a few weeks. It is quick to charge my phone, before my old one is very heavy. This is a very thin and light, I just stack it in my bag with my other gear and I am ready to go for least an entire weekend unplugged. This is my first power bank order and I have to say I’m very impressed. It takes it a few hours to get to 99%, but once it’s charged and you connect your phone you see the power of this beast. Charged my iPhone very quickly to 100% and didn’t lose a lot of battery life. This battery pack is the same size as my mobile phone, easy to carry and beautiful in appearance. As a battery pack, it will soon complete charging, it can at least three times charge my phone, I am very satisfied. We had just one power bank and we were fighting for it, then I bought this one and each of us has his own. 10000 is more than enough for at least 3 charges for my phone and I have test for a week. 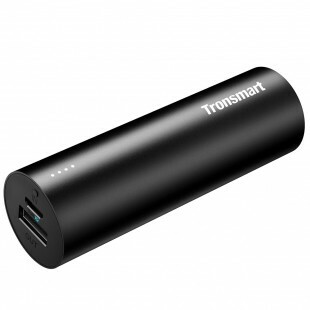 It’s a really good product and charges really fast. After owning this power bank for about 2-3 weeks, I have constantly used it to see exactly how many times it can fully charge my iPhone X. For sure it can charge 2 full charges, but at times I can squeeze a little bit more juice up to 50-60 % on the third attempt. 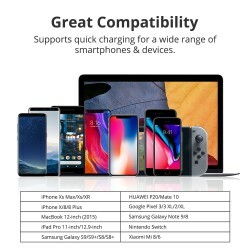 Overall, it is a good product, as described on the main page, it can provide 50% charge within 30-40 minutes depending if you are using the device as you charge it. 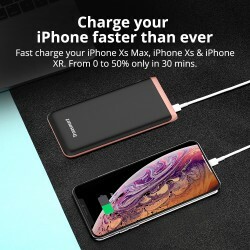 Main reason for giving a 4 instead of 5 is that it doesn't fully charge my iPhone X 3 times, it comes close but I guess I am a little bit nitpicking, other than that, I recommend it especially if you have long commute and forget to charge your phone overnight, also it is NOT too heavy as other products that I have bought in the past. Lovely power bank. Looks very expensive like a phone. It lightweight compared to others I have used in the past. I use it with my LG G6 is it charges as fast as me using my fast charging charger head. I'm so pleased to purchase such an amazing power bank. The smooth appearance can prevent sweat and corrosion. It can also charge my iPhone 4 times in full condition. BTW, it’s really convenient to take outdoor because of its light. This rechargeable treasure is good, of course I bought it as a gift, because the size of the mobile phone is as easy to carry, and then save enough electricity, as a gift is just right! It's worth recommending! This power bank is amazing! It is small and light but it has such a big capacity, so it is very portable. I think it can charge at least four phones one time. Also, it charges very quickly, as quickly as the original charger. I also like its look very much. The color is cute and the texture is great. I think it is really a good friend if you want to go on a trip. It can help you to sustain your phone for the whole day long! I am very pleased to write a review for this product. First, it's extremely slim, not heavy and the color is lovely! It takes lesser time to charge my phone as compared to my previous power bank (very fast charging speed!!!). Also, this large mAh power bank suits me the best because my phone runs out of battery easily when I use google map a lot during my travel. And I'm also very happy that it fits the type-C USB charger as well! So happy with my purchase. Very fast delivery. It is so beautiful and in very good quality. It is so quick to be charged. It is so small but with so big charging capacity. I was recommended by a friend and it is much better than my old one. I and my husband put our phones into it to get charged at the same time. Will buy more products in this shop. Excellent product. 10000mAh which means you can charge your phone 4 times. Bought it as a gift for my boyfriend and he loves it! Bought this for my sister as a gift to replace her old one. She likes it very much. I bought this for her because its appearance looks great. When checking it physically, I have no regret especially the surface is made of texture which protected it from scratches. She is very happy with it, it is not heavy so just put in her bag- it is very functional and practical- fast charging and can charge 2 devices at the same time. May get one for myself. 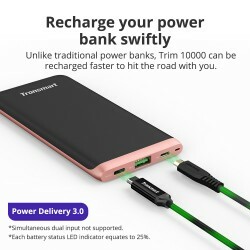 Good quality power bank, I’ve been using it for 3 weeks, it works very well! When I receive it, I’m so excited, lovely packed, look so expensive, I think the price for this kind of quality is good. I already told my friends to get this one too, happy to give 5 stars! This is a very elegant device. It fits nicely into a pocket and feels like a quality device. I bought this to quick charge my Samsung Note 9 - you cannot quick charge using a USB-to-USC-C cable it will only support slow charging. This means I need a USB-C-to-USB-C to confirm I can even quick charge which means I need to carry another cable with me which I was trying to avoid. The other issue is it's only available in the rose gold color. I bought this battery pack for my wife, who is a nurse, to use while she's on shift. The Tronsmart is small and light enough that she can keep it in a pocket of her scrubs and run her phone on pass-thru if its battery is low. When the phone is not in use it charges continuously. Its slim and small enough and stylish. I am still surprised that it is 10000mAh. I wish it come in blue so I can get one for myself. I recommend this battery pack. The power bank is slim and not heavy - a little thicker and heavier than my phone. I like the black surface, but the golden part is too dim for me. However, the appearance is decent. It is said to be 10000mah capacity - I'm not sure, but it's could recharge my phone 3 times, which is enough for me in any situation. The recharge speed is fast - I can't see any difference with my fast charge adapter. My favorite part is the lanyard: it seems ordinary, but if you pick it off, and unfold it, you will find it's a small USB cable! This is a very clever design. Because to bring a USB cable together with power bank is annoying and space-hogging. The price of this power bank is not cheap though, but it worth the money. It solves a lot of problems for me. I used to worry about the lack of power for my phone. With it, it won't be anymore. This battery pack is slim great build quality charges my phone 2 times. It fits in my back pocket with ease. It is good quality with great value. The metal material is not easy to broken. It is not that heavy than the one I bought before. 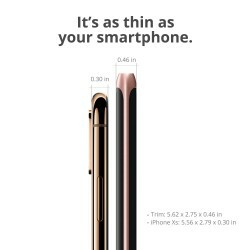 It is thin. Also a good outlook. Recommend! I love this power bank charger. it is designed like a smartphone. it is convenient to charge different devices. It is equipped with a universal USB and one USB Type-C and one min USB. I tried to charge my iPhone 6s couple time. I think think this power bank can charge 3-4 times. Charging time is also fast. When charging the device, I don’t feel any warm or hot on power bank’s surface. For such a thin and light power bank, it packs a punch. I carry it everywhere with me on days where I know I'll be needing that extra charge. I use it almost every day and charges it 2-3 times a week depending on how many times I use it a day. Love it! Very nicely designed, so sleek and looks so much beautiful. Lighter size, weight-wise and finishing are the best. After owning this power bank for about 2-3 weeks, I have constantly used it to see exactly how many times it can fully charge my iPhone X. For sure it can charge 2 full charges, but at times I can squeeze a little bit more juice up to 50-60 % on the third attempt. 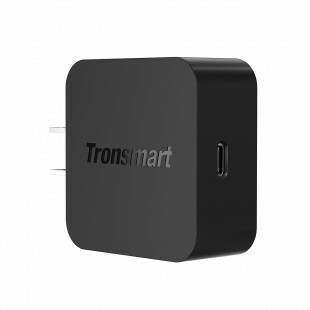 Overall, it is a good product, as described on the main page, it can provide 50% charge within 30-40 minutes depending if you are using the device as you charge it. 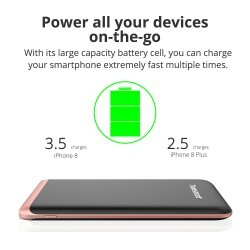 Main reason for giving a 4 instead of 5 is that it doesn't fully charge my iPhone X 3 times, it comes close but I guess I am a little bit nitpicking, other than that, I recommend it especially if you have a long commute and forget to charge your phone overnight, also it is NOT too heavy as other products that I have bought in the past. Perfect for iPhone. Easy to carry. I love it and highly recommend it. Ranking in the TOP 3, the Trim is equipped with the latest Power Delivery 3.0 charging technology that supports faster charging for all your devices. 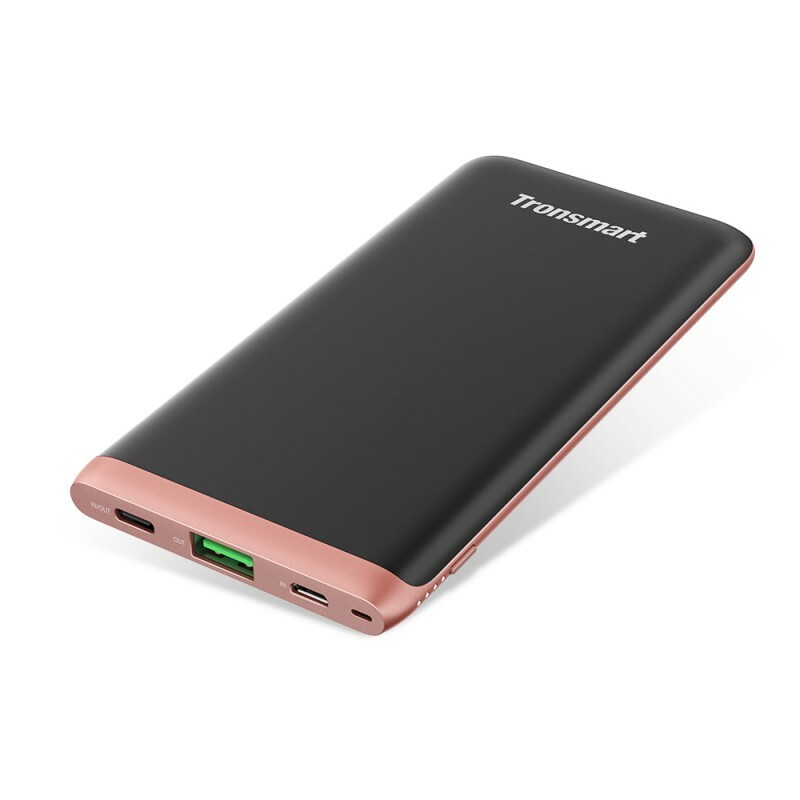 The Tronsmart 10,000mAh portable charger is another great sleek and portable option. 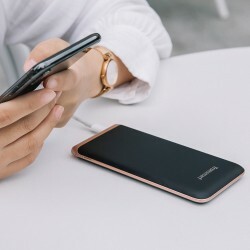 The device comes with a USB-C port that can fast charge a smartphone and be used to charge the power bank itself. 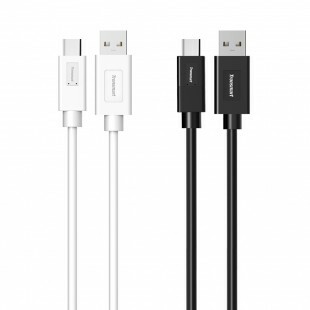 The regular USB-A port supports Qualcomm QuickCharge 3.0 and 2.0, as well as Huawei FCP. 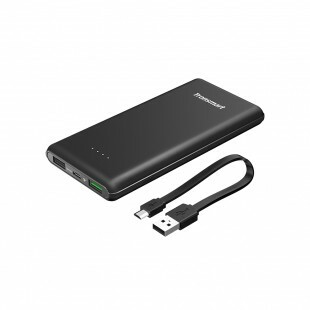 The power bank can be used to charge two devices simultaneously. Trim USB-C 10000mAh charger, is as thin as your smartphone. 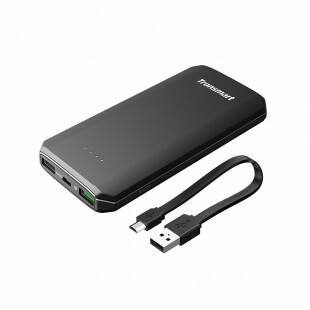 The Tronsmart 10,000mAh portable charger is a great sleek and portable option. The device comes with a USB-C port that can fast charge a smartphone and be used to charge the power bank itself. The regular USB-A port supports Qualcomm QuickCharge 3.0 and 2.0, as well as Huawei FCP. The power bank can be used to charge two devices simultaneously.